You have probably heard of bands rising from the ashes of other bands, but have you heard of a band rising out of its own ashes? Well, that’s exactly the case when it comes to the recently reborn Believer. 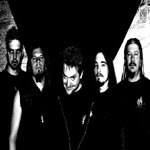 The band formed in the mid-80’s, releasing two metal opus’ throughout their, let’s call it, first existence as a band, entitled ‘Dimensions’ and ‘Sanctity Obscure,’ to much fanfare, and now are back after a 15 years hiatus to bring their newest album, ‘Gabriel,’ to the extreme metal world. During some downtime, I had the chance to catch up with Believer’s lead throat/guitarist Kurt Bachman in order to find out why Believer has come back to life, how the recording process of the new record went and how they gained so many varied friends in the music world. Get eXposed: First off, how did Believer come back into existence? Kurt Bachman: Joey and I started to get together back in 2005 just to jam for a bit of fun. We realized the chemistry was still there so we started to write some tunes. We have our own studio (Trauma Studios) and started recording. We were encouraged by friends to release the tunes as they felt there were still one or two Believer fans out there that would enjoy hearing new material. One thing led to another and we ended up on Howard Jones’ imprint (Cesspool Recordings) through legendary Metal Blade Records. Can’t get much better than that! GE: Do you think today’s metal scene needs a band like Believer to be back? KB: That is a tough but good question. I would say that there are so many stellar bands in the metal scene that it probably doesn’t NEED Believer, but rather we as musicians need the metal scene. We’re hoping that the scene welcomes us back. GE: Why the decision to bring in new members? KB: New members bring with them new creative ideas. It has been a blast working with them and they just happen to be great friends of ours also, which is a huge bonus. No one is afraid to speak their mind or take the harsh criticism that often accompanies a Believer writing/recording session. KB: It was intense and laid back at the same time. We wanted to deliver the best sounding material we could and having the studio made this a bit easier on us compared to many other bands. We could record a track, go away for a few days and then come back and listen with fresh ears. We experimented with many microphone techniques and gear. As always there are things we wish we would have done differently but I think it is like that for every band and producer. We’re looking forward to the process again for our next record. This record should be fun and insane. GE: How is this record different from the bands past releases? KB: We tried to focus more on the tune as a whole rather than just a set of riffs. If we wrote something that might not sound like typical Believer, but fit into the song, we left it alone. We also think this record is a bit more melodic than some of our past efforts. Bringing in the keys also added a bit more sonic complexity and a new dimension. GE: Will old school fans enjoy what you’re doing now? KB: We sure hope so. I think they will need to listen with an open mind though. We didn’t want to do ‘Sanity Obscure 2’ or ‘Dimensions 2’ even though there might be some out there that wanted that. But they can always listen to those records over and over again. With that said, I think that many old school fans will dig many of the tunes on Gabriel because it still is Believer. GE: Tell me how you think the record came out in the end. KB: We are actually pretty happy with it. With 15 years in between, we really weren’t sure how it would turn out. I think we did a pretty decent job with the mix and having it mastered at West West Side Music by Alan Douches was what really brought it all together in the end. The CD version just sounds great, with max separation and clarity. GE: The guests on the album are interesting, really a wide range of talent. How did you get Howard Jones to guest, and in what fashion does he? GE: In that same respect, what can we expect from Deron Miller and Rocky Gray? KB: Fantastic guitar solos. These guys, along with Joe Rico from Sacrifice and our friend Jim Winters, recorded some incredible leads. We feel so fortunate to have such talent friends and their efforts put ‘Gabriel’ at a completely elevated musical level; a level that we could not have accomplished without them. GE: What can we expect from you the rest of the year? KB: We are rehearsing now to play shows and possibly some mini-tours. We will also be doing some podcasts in an effort to bring more Believer to our amazing fans. We might try maybe even some more musical experiments. Stay tuned.